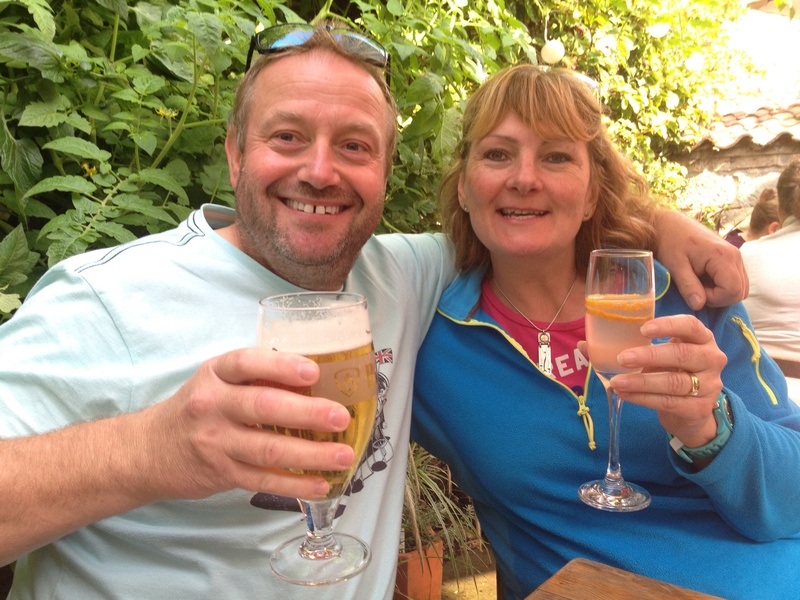 We are Vince and Jacqui, an English Couple that love an adventure. We have done quite a bit of travelling, both home and abroad, visiting such places as Morocco, Zambia, Botswana, Namibia, South Africa, The Maldives, Canada, USA, West Indies, with trips ranging from luxury hotels, motor bike touring, to camping in a roof tent on top of a Landrover Defender. Jacqui has also lived in Australia, for 2 years and travelled through New Zealand and Bali while out there. Work wise, Vince is a Self Employed Carpenter. Having spent 26 years running a Sub-Contracting business, now works on small local projects (mostly within a couple of miles of our home village). Jacq’s is a registered Nurse, working on a Self-Employed basis in the Private sector in Occupational Health. We are hoping that both of our skills can be used on a few projects during our Africa trip. You must be in Africa already, when everything worked out as you planned it – we hope you have a good journey and everything works out good!!! Take care! Hi, great to hear from you guys, yes we are In Morocco now, it’s a different world, but we are loving it. We posted a comment on the Unimog and expedition camper Facebook page about looking for other expedition truck owners to travel to Senegal with and someone gave us your details. Sally and I are currently in Taroudant after just leaving Agadir and are also thinking of going to Mauritania and Senagal after doing Erg Chebbi and Zagora. We then planned on going back into Western Europe and to Turkey. We could easily be persuaded to do Mauritania and Senegal first if we found someone to convoy with. If you are interested we could meet up and discuss. P.s. Nice site… We are only running a Facebook page http://www.richardandsally.com if you want to have a quick look? Hi Guys, it would be great to meet up if you fancy it, we are currently in Skoura, which is just East of Ouarzazate, which isn’t too far out for either of us. We will be following the N10 towards Agadir, so it’ll be great to meet up and hopefully join up for a touch of “safety in numbers” eh. Saw you in Melkbosstrand around 13:00 near Ou Skip Caravan Park. Enjoy the Cape. We wish you the best for your trip! We saw you at De Hoop reserve, we were the tiny blue tent. hi Dave, we are back in Windhoek now, maybe spend a few days over on the coast at Swakopmund, what about you? Just finished reading your blog, what a great adventure you are having. Carole and I are back in Aus, complete with the beast. Not looking forward to the mundane life style. We were something like six weeks in front of you going up the west coast, along the Caprivi strip into Zambia. Missed South Luangua due to time restrains but did the circuit around Zim. catching the over night ferry from Kariba to Mlbizi. We had to get a tow out of Nxai Pan as the sand was too deep for us, all good fun at the time. we have made it safely back to germany – and the welcome couldn’t be better: 3°C (brrrr) but sunny. All the best for the remaining part of your journey!! P.S. : Sorry guys – the email adress I have given you at the Pioneer’s Camp was not correct (shame on me); I have filled in the correct one in the details.